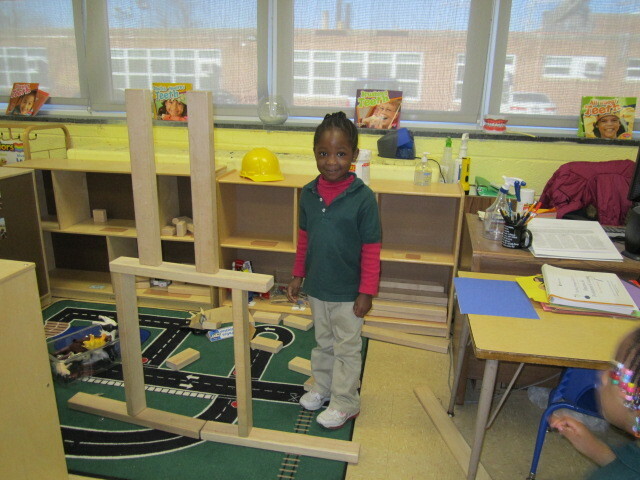 This student explains, "This is my garage. The cars will go in it. There is a bridge on top for the metro train."